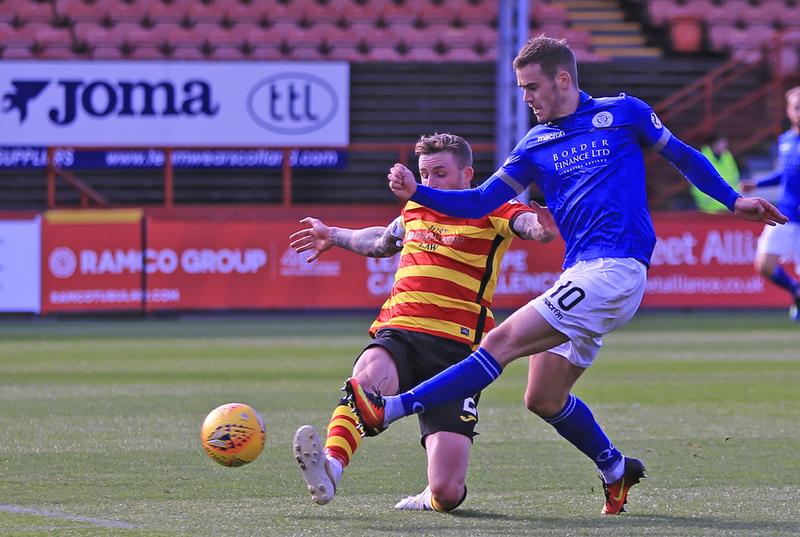 A lacklustre performance from a depleted Queens squad resulted in just a 2nd defeat in 12 games, and a first of 2019, as Partick Thistle ran out 2-1 winners at Firhill. It?s not all doom and gloom however, as the Doonhamers remain in the play-offs courtesy of a Falkirk draw with Inverness. Following last weeks impressive draw away to Dundee, Nicky Low dropped out the squad altogether, replaced by Connor Murray, who played in the unfamiliar holding midfield role. Stone Cold Stephen Dobbie led the line again, with Lyndon Dykes in behind him and Josh Todd and Andy Stirling providing the width. The opening 10 minutes were dominated by Queens. From the get go, Andy Stirling caused the hosts issues, getting in good positions time and time again, without being able to create a goal. After a matter of minutes though, some good work down the right allowed Scott Mercer to cutback to Dobbie, who?s first time strike was saved sensationally by Celtic loanee Conor Hazard in the Thistle goal. 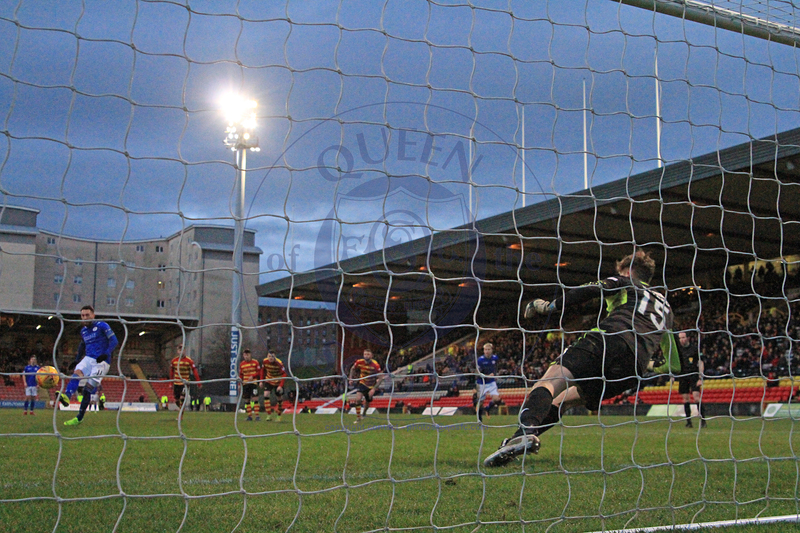 Partick began to take control of the game after this, with Queens unable to get in behind their defence. Much like Andy Stirling was the main creator for Queens, Joe Cardle was the man causing the South the most problems. Although it has to be said that Mercer dealt with the wide-man pretty well, all-in-all. However, Cardle was the man to break the deadlock after 18 minutes, with one of the easiest finishes of his career. Some good work by Blair Spittal in the Queens box allowed him to get past Jordan Marshall and Barry Maguire, before squaring the ball across the box to Cardle who had to tap in from inches out. At this point, Thistle?s lead was somewhat fortunate given Queens? start to the game, but the home side began to stamp their authority on the match after the goal. In truth, Queens were the masters of their own downfall at points. Misplaced passes were meaning Queens weren?t able to create many goalscoring opportunities at all. 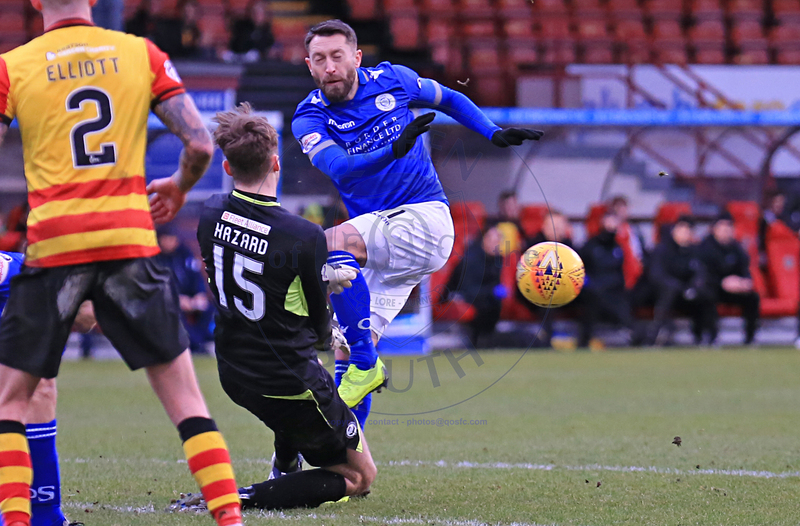 A Dobbie free-kick was hit narrowly wide, and a counter attacking move from a Thistle corner that Spittal dealt with extremely well was about as good as it got in the first half for Queens. After 40 minutes, danger-man Joe Cardle went down clutching his hamstring in an off the ball injury. It looked similar to the one Dobbie picked up against the same opposition in December. Patrick?s goalscorer was replaced by paceman Miles Storey for the closing stages of the first half. 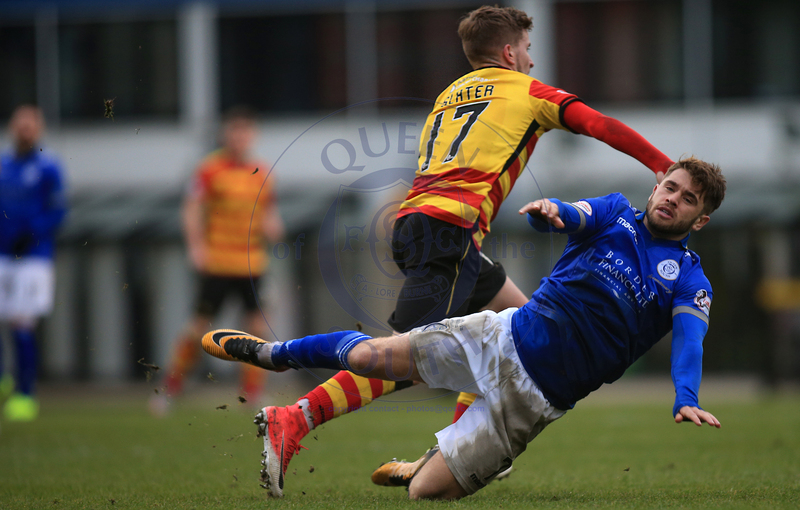 Not long after, Queens had injury problems themselves, as Josh Todd went down holding what looked to be his knee. Before Queens could make a change, referee Colin Steven blew the whistle for half-time, to bring to a close a disappointing first period for the visitors. Neither team had played particularly well in the opening 45, with Cardle?s tap being the only difference between the sides. The second period began with Owen Bell replacing the injured Josh Todd. This meant Murray moved out to the wing, with Bell into holding midfield. Queens were the first team to create a half-chance in the second-half, with Jordan Marshall hitting the by-line, although his cross was cleared well. After 55 minutes, things went from bad to worse for the away side. Good work by the impressive Aidan Fitzpatrick on the right let him put a powerful cross into the box, that was bundled over the line by Miles Storey. This lead to arguably Thistle?s best period of the game, with Fitzpatrick in-particular causing the Queens defence problems. Kris Doolan?s header was well saved by Alan Martin, who didn?t have much else to do apart from pick the ball out of his net. Some good play by Queens after 65 minutes led to Hazard miss-punching his clearance, before Dobbie?s effort was saved by the keeper. Hazard?s save did however look as if it may have been outside the area. Nonetheless, VAR is yet to arrive in the Scottish Championship, so referee Colin Steven waved play-on and Partick mounted a counter. Fitzpatrick was able to get behind Marshall and Maguire, before squaring to Storey who?s had an empty net to aim into, but his touch was poor and Mercer was able to clear. 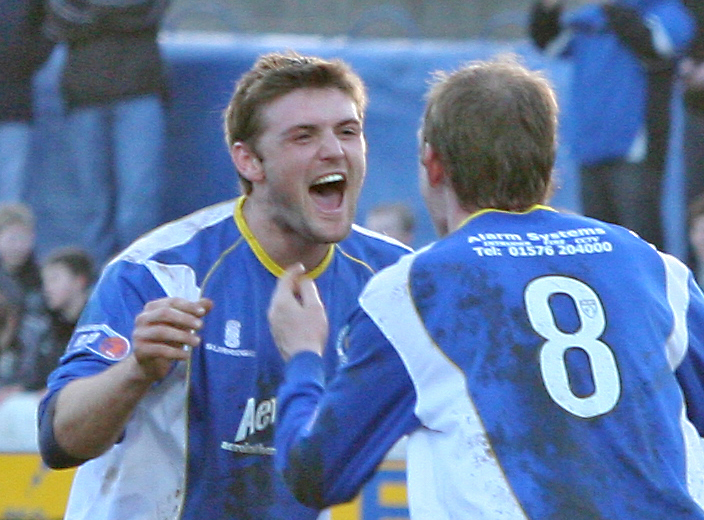 Lyndon Dykes was then booked for kicking out at Steven Saunders, before Marshall joined him in the book for barging Fitzpatrick out of play after the winger had knocked the ball past Marshall. 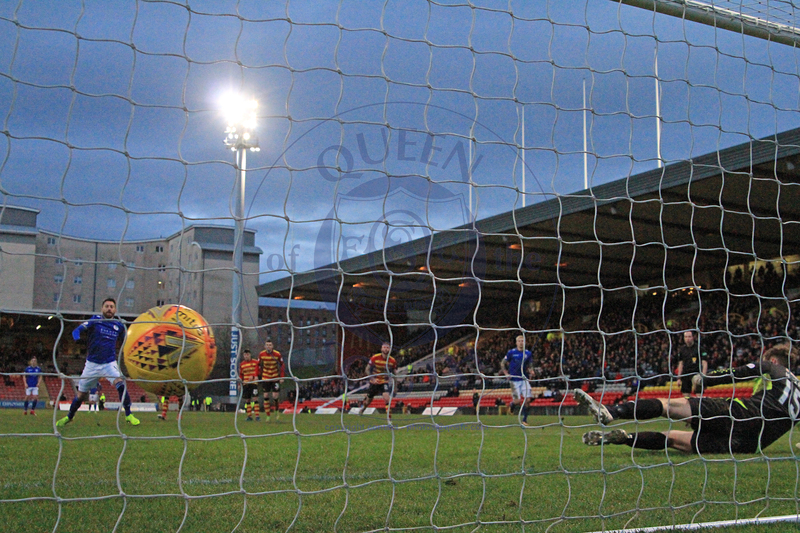 After struggling to create any clear-cut chances, Queens were gifted a lifeline courtesy of good work by Andy Stirling. An Owen Bell shot was well saved by Hazard, before Dobbie?s rebound was also saved. Picking the ball up in the area, Stirling wiggled his way between four Partick players before being blatantly pushed over, winning Queens a penalty. 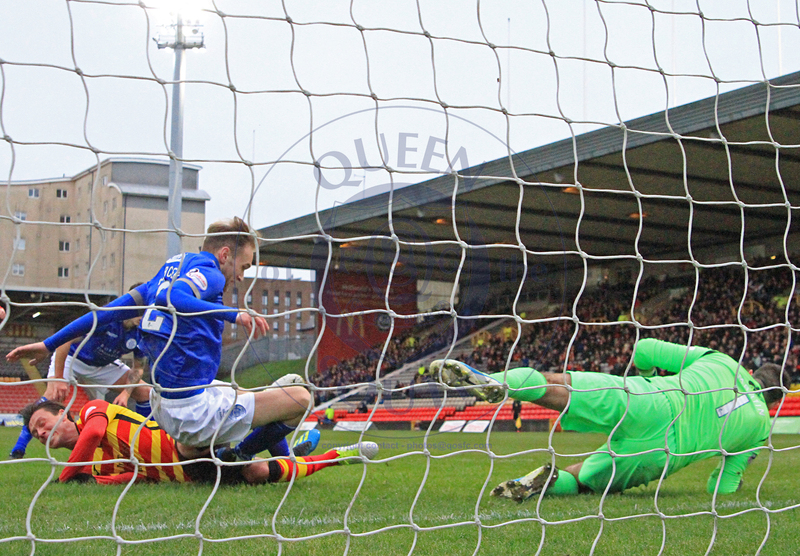 Stephen Dobbie took the honours, and sent Hazard the wrong way for his 34th goal of the season. This gave Queens 10 minutes plus injury time to find an equaliser, but it was simply not to be. 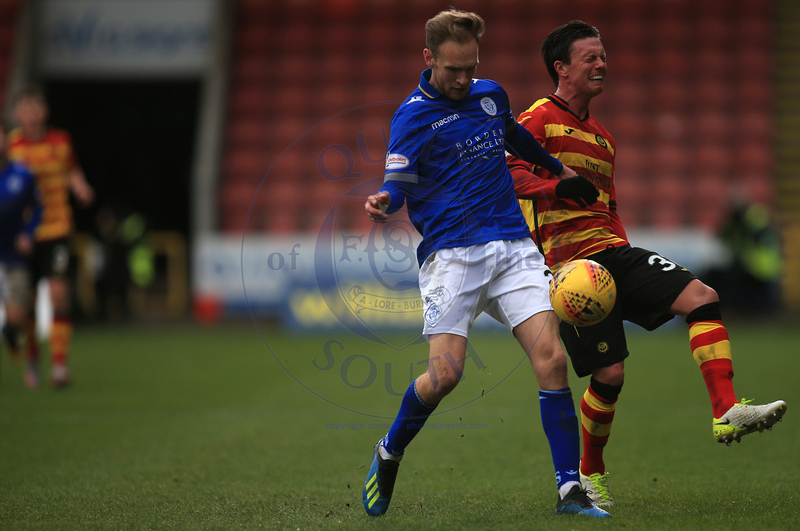 Dean Watson replaced Murray after 84 minutes, but the youngster was unable to affect the result as Partick seen out the game well. Thistle arguably should?ve had a third, after a low cross by Fitzpatrick on the break was tucked away by Alistair Roy, although the linesman had put his flag up for offside. It was an incredibly tight decision that, thankfully for the linesman, didn?t affect the full time result as Partick held out for the win. A disappointing day out for Queens, but only a 2nd loss in 12 games. A good record considering the competitiveness of the Championship this season, and the reason why Queens maintain the final play-off place. Of course, Inverness have a game in hand on Tuesday away to Ayr United, anything but an Ayr win would take Caley above Queens in the league. 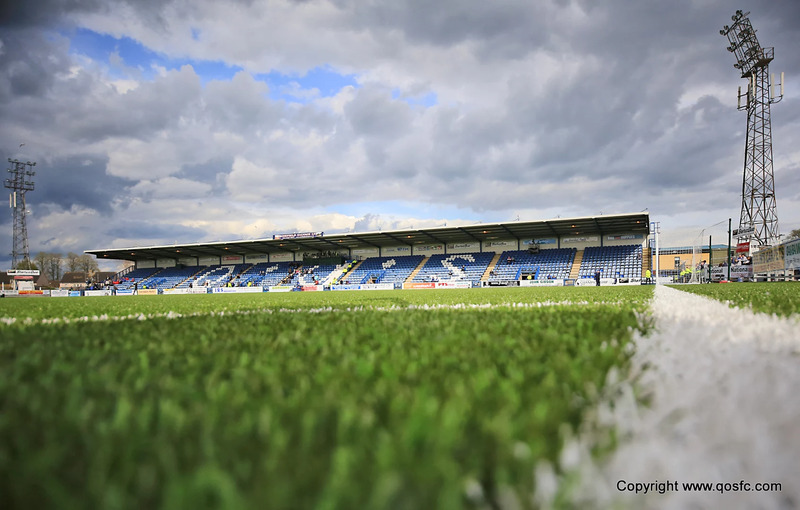 More importantly though, Dundee visit Palmerston on Tuesday night for a Scottish Cup 4th Round Replay. We last played Dundee at home in the cup 11 years ago, in which a Ryan McCann wonder goal and a goal from a certain Stephen Dobbie separated the teams, sending the Doonhamers to Hampden. The team won?t need much motivation, with a televised tie awaiting the winners away to either Stenhousemuir or Aberdeen, who also meet on Tuesday. It?s a game that promises to be simply unmissable. I?ll be there, will you?